November is here and the Tea Box Express November box will ship out in less than two weeks! 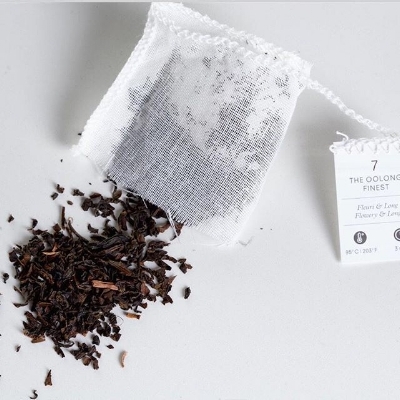 A team manager from Nunshen, the featured November tea company, was kind enough to share more with us about the company, including its Swiss roots, unique name, and special blends. Can you tell us a little about Nunshen and how it got started? It all started in 1938 in the city of Lausanne, Switzerland. A Swiss family opened a tearoom called “Thé Tea Tee” (tea in French, English and German). In the early 2000s, the tea passionate Olivier Jardon-El Hiny fell in love with the shop's history and philosophy and bought the old boutique. To modernize the brand, he changed the name to Nunshen. From that time on, he dedicated his free time to create his own new, creative tea blends. By word of mouth, Nunshen quickly became famous among European tea enthusiasts. Where does the name “Nunshen” come from? “Nunshen” is based on a 4000-year-old legend. Shen Nung was a Chinese Emperor and herbalist who tested for the first time the mix of boiling water and tea leaves. Delighted by these unexpected flavors, he spread the knowledge of tea virtues throughout China. Nunshen's brand name pays tribute to this hero of Chinese mythology. What are some of the more unique or “special” teas that you offer? As mentioned before, our founder Olivier creates his own tea blends and recipes. He experiments different mixes of leaves and spices before finding the perfect combination of flavors. Nunshen offers 7 unique blends that you will not find anywhere else. For green teas, we offer Fujiyama and Pomaika’I. As black teas, there are Rois Mages, Vent d’Automne, Kangchenjunga and Vol de Nuit. Finally, we offer a milky Oolong tea named Machu Picchu. From where do you source your teas and other ingredients? We source our teas and ingredients from all around the world: South Africa, India, China, Croatia, Japan, Ceylan, Taiwan… Quality is our number one priority. For our Master Selection for example, we directly source from the supplier in that country and work with worldwide famous Tea Masters. What is the 1% for the Planet initiative? 1% for the Planet organization gathers businesses financially committed to create a healthy planet. Nunshen supports this initiative and is even part of it as a business. By giving 1% of our sales, we pay the “Earth tax” and help fund environmental groups. Since 2002, 1% for the Planet has initiated over $50 million in environmental giving. Because the environment is a key component of the quality of our tea leaves, we support strongly this initiative. Moreover, that’s why our tea muslins are made from biodegradable natural materials with no artificial additives. Which Nunshen tea is your favorite? My favorite Nunshen tea is from our Unique blends selection. It is named Pomaika’I, which means in Hawaiian “a true perfection of balance”. It is one of our most complex creations: the strong suavity of black tea meets the freshness of green tea. With orchids, lychee, apricots and mint, it is hard not to fall for Pomaika’I! Thanks Nunshen! For more information check out nunshen.com. You can still subscribe or buy the November box as a gift through November 5th.